Jiro‘s Pick this week is MATLAB Grader Test Generator by Robin T. Bye. 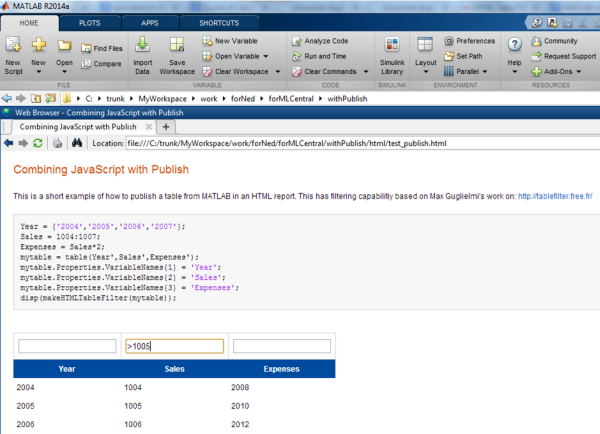 MATLAB Grader is a web service product available for our academic customers. It’s an auto-grading system for MATLAB problems. 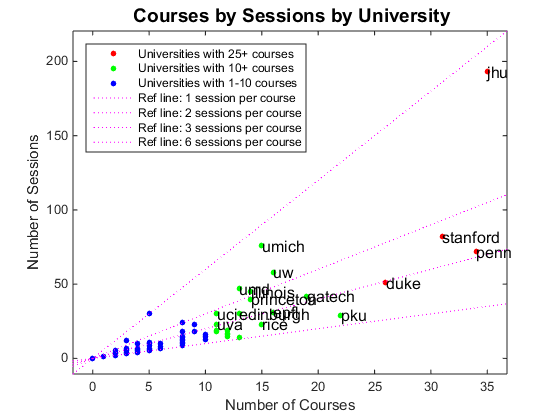 Professors can author MATLAB problems and invite students to their courses, and students can take the course through a web browser, with immediate feedback to their answers. 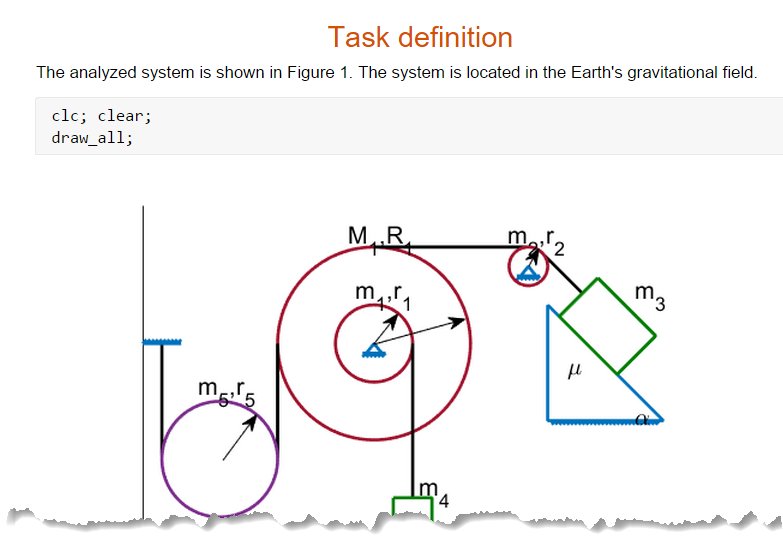 One of the key aspects to creating a problem in MATLAB Grader is the assessments. Assessments check whether the answers submitted by the student are correct. One of the easiest ways to do that is to check whether a particular varible equals the provided solution. Robin’s submission provides a creative way of generating assessment code. 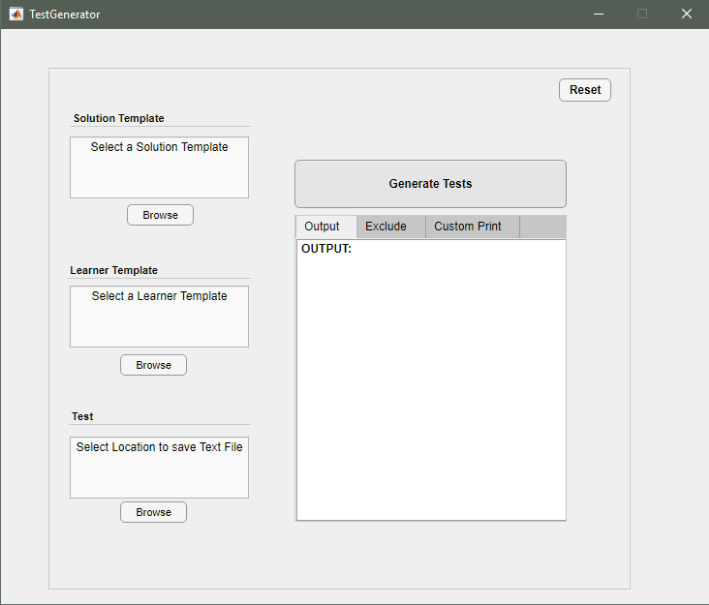 You provide the solution and learner template files, and the app automatically creates assessment code for all the appropriate variables. I was happy to see an entry that was related to MATLAB Grader. Since I primarily work with academic customers, I often promote MATLAB Grader. It tries to automate and simplify what could be a tedious task. It’s quite robust and flexible, allowing exclusion of certain variables. 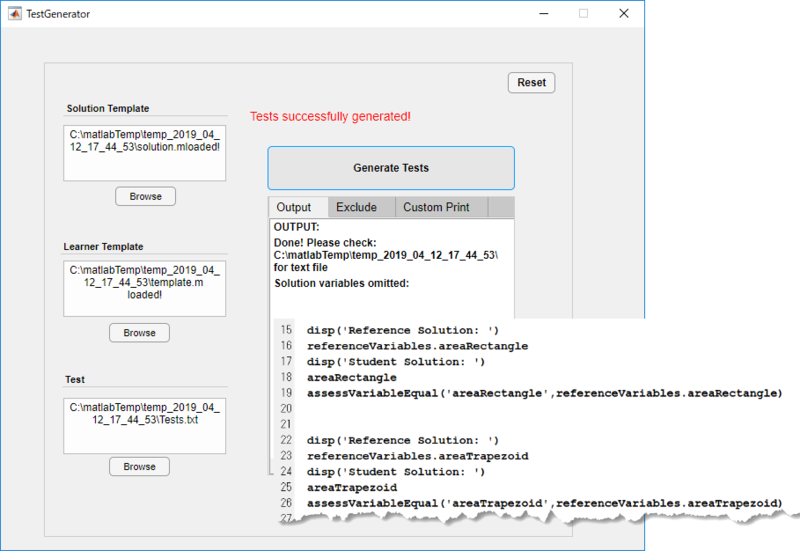 However, I do want to highlight a feature in MATLAB Grader that makes variable assessment quite simple. 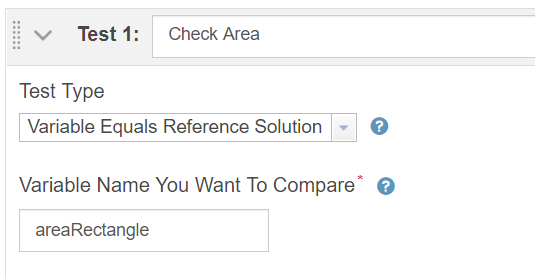 There is a “Variable Equals Reference Solution” option where all you need to do is enter the name of the variable, and the assessment will automatically check whether the variable equals the solution. It could be a simple alternative to the code version of the assessments. Give it a try and let us know what you think here or leave a comment for Robin.